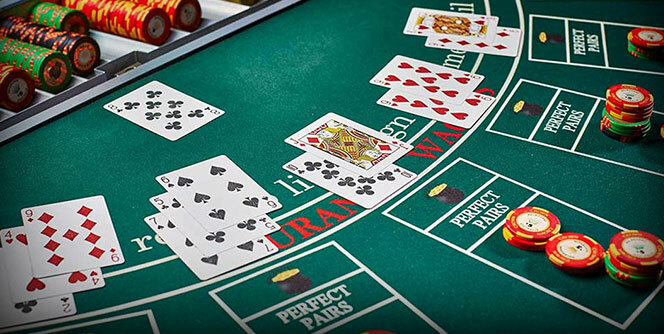 No matter what way you want to look at it, poker always boils down to winning more money (or tournament chips). While there are different strategies and game tactics one may learn and implement, every single one of them boils down to making more money per hand played. It really is that simple. So, in poker (Texas Hold’em specifically, since that’s what we’ll be discussing here), you should always be looking for things to implement in your game to make more money in every single hand. Specific situations such as ICM considerations do come in play every now and then but these can be learned along the way. 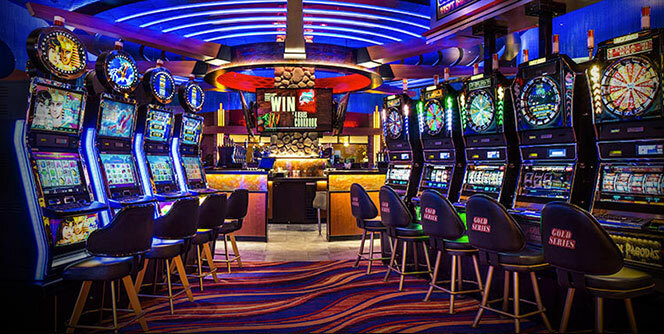 Your focus needs to be on winning as many chips as possible at all times. So, in this blog, we’ll talk about some strategies to do exactly this. Depending on your level of poker knowledge, some of these may be the old news, but it’s never a bad thing to refresh your knowledge. In Hold’em, blinds exist to force the action. Without blinds, people would have no reason to play anything but premium starting hands. So, blinds are basically dead money that people have to put in with a random hand. On average, a random hand is a bad hand, that’s just the simple math of the game. When you consider all the possible combinations, there are many more bad ones than the good ones. While this isn’t an exact chart, it should give you a pretty good idea of what we’re talking about. If you’re first in, meaning no one has limped or raised before you, you should be looking to attack those blinds really wide – especially in a tournament situation where stealing blinds becomes increasingly important as blinds and antes become larger and stacks get shorter in proportion. Of course, there are other things to think about here, like the tendencies of players in the blinds and how often you expect them to call or raise you, but these are topics for another article. For now, by simply widening your raising range from the late position, you’re guaranteed to make more money. If you’ve ever watched a strong poker tournament, you’ve probably noticed that limping, i.e. just paying the big blind to enter the pot, is the least frequent thing. And, there is a good reason for it. It is usually the least profitable thing you can do. Once again, disregarding some highly specific situations, you should almost never limp first into the pot. Unless you have a very strategic and sound reason for doing it, if your hand is good enough to limp with, it is good enough to raise with. It is fine to limp behind, i.e. 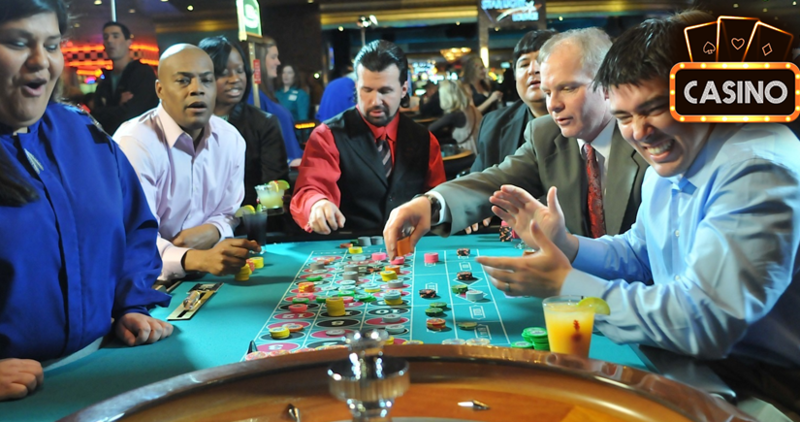 if two or three people have limped in already and you have a hand like suited connectors or a small pair, especially if the table is passive and you don’t expect anyone to raise behind that often. But, don’t be the one trying to start the limp avalanche because, in the end, it will just cost you chips in the long run. And, in poker, saving chips is the same thing as winning chips. There is really no difference between the two. Earlier, I’ve talked about how you should be attacking blinds with a wide range of hands. The reason why this works is because most people are just not competent enough players to defend their blinds correctly. You, on the other hand, should be the one ready to fight for your blinds, especially against someone you suspect is just trying to steal. The thing with the blinds is, especially the big blind is, if you always fold, you’ll be losing 100% of them. So, if you can bring that number to even just 80%, you’re already better off. It is impossible to be profitable from the blinds because you’re always out of the position and playing with two random cards, but you want to minimize your loss as much as possible. To do this effectively, you’ll need to construct a reasonable defense range. For example, you can still fold the weakest of your hands, but don’t be afraid to mix things up with solid paint and mid to high connected cards. These hands flop well and are ahead of your opponent’s range. Additionally, you’ll often be able to take the pot when your opponent decides to give up and not fire a continuation bet. You might win by simply leading out on the turn even if you had missed completely. 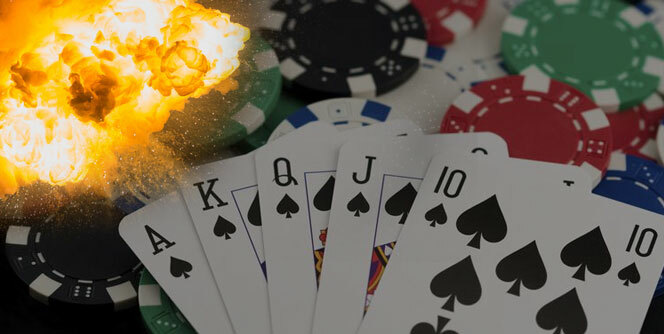 Obviously, things aren’t as simple as this as every hand can go do many different roads, but these are some general considerations to keep in mind when playing and try implementing. I’ll try to address many of the more specific stuff in some of my next blogs. We’ve already established limping is bad. This is not how you play winning poker. So, every time people start limping, you can assume they aren’t very good and for me personally, they’ll have to do a lot to convince me otherwise. Good players don’t open limp, it’s that simple. So, if you see people limping like crazy, you should be looking to take advantage of this. Isolating limpers with a raise is a very effective strategy and you can do it with a fairly wide range of hands. They’ll usually call you out of position, miss the flop, check to you, and you can then just take it with a c-bet. Most of these players are playing fit-or-fold poker so they won’t be looking to outplay you or anything along those lines. They just want to get lucky and hit good cards. If they don’t, they’ll fold and look to try again. However, there is some danger in this. If you isolate a limper and meet resistance, you need to be ready to pull the brakes. As mentioned, they usually play fit or fold and if they call you on the flop, it means they got their “fit.” Once they are happy with the flop, they’ll be very hard to push out so you shouldn’t be trying to do it. You can win enough pots off of them when they miss; you can let them have the ones where they hit. The final strategy to make more money in poker we’ll consider in this article ties in to some of the things we’ve already talked about. We’ve established blinds are there for the taking and you should be going after them. Of course, you’re not the only one thinking along these lines as other players will be trying to get their fair share. But, you can get in the mix here. If you suspect someone is trying to steal the blinds from the late position, like cutoff or hijack, and you’re seated in the button, you can attack their steal by re-raising. Now, this is a somewhat more advanced strategy and I’d suggest using it scarcely because it can create many difficult situations. On the other hand, if you want to be a good player, you need to learn how to navigate tough spots. 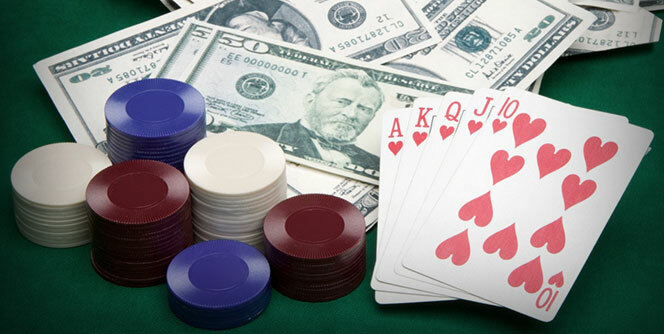 Most players will play pretty straightforward when faced with a re-raise (3-bet). They’ll either call or fold, which are both good results. If they have a really big hand, they’ll probably raise and you can simply get rid of your KJ and avoid getting in trouble against a monster. In stronger games, people will adjust to your tendencies and will respond to your 3-bets with more 4-bets but that’s not something you should worry about if you’re fairly new to poker. By the time you reach games where these things happen, you’ll probably be ready for it. If you’re striving to be a good player, you should always be looking for spots to make money and drag the pots your way. Strategies described in this article aren’t as detailed as they could be but they should serve as guidelines and pointers. The important thing is to always think about spots such as the ones described in here and don’t let them slip away. You’ll make mistakes along the way and you’ll learn from them; that’s perfectly fine. The only thing you don’t want to happen is to play the same, old game for your entire life, hoping your results will magically improve. You need to be ready to try some new things, implement some new ideas, and not be afraid of looking silly or being bluffed. There is a big learning curve in poker and these strategies don’t even begin to scratch the surface. However, they do represent solid fundamentals to build upon. By adopting them and understanding why they work, you’ll make a huge leap forward towards improving your overall game. The Major Blind needs to make a compelled choice that’s the minimal dimensions for that game.